Even though I have lived in Sweden for almost two decades now and water is plentiful, I always try to save water. I grew up in a country stricken by periodic drought so that leaves its mark behind. I love being able to have long showers and deep baths though! I come from a little town in the Eastern Cape of South Africa. In the 1980s, the level of our local dam had dropped to about 13%. Forget not washing your car or watering your lawn. It was way worse than that. Each household received 200 litres of water a day. Showers were not allowed because you could not reuse the water, toilet cisterns were turned off, and when things were really bad, the residential university in my town was considering closing and sending all the students back to their home cities. We were a family of eight with a 200 litre ration per day, so we set aside some water for drinking and cooking. Then all eight of us bathed in the same water. I used to bribe my little cousin to wake up early and run a bath for me so I was first, because the last one out was probably dirtier when they got out than when they got in. That water was then used to wash the clothes in the twin tub, after which it was used to flush the toilet. Naturally you only flushed the toilet when you REALLY had to. By the time we got to November that year (I think it was 1987), the water level had dropped even more. So it was absolutely amazing when rain began to fall. It rained solidly for a month and at the end of it, the dam was overflowing. There were leaks in the roof above my bed and I had a bucket on the bed and next to it to catch the drops, but I have never been so glad to hear that sound – ever! It has thus been with a sense of déjà vu that I have been reading that Cape Town is in the same position. 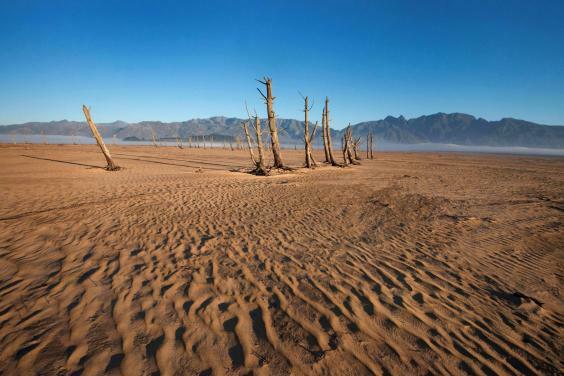 It may become the first major country in the world to ever run out of water due to climate change (and of course, political incompetence). Day Zero is approaching, when all taps will be turned off and 4 million people will have to queue for their water rations each day (80 litres per person), guarded by the military and police to avoid riots breaking out. As a comparison, a four-minute shower uses more than 80 litres of water. Evacuation will be the next step. Day Zero was moved a week closer a few days ago and is now the 22nd April. 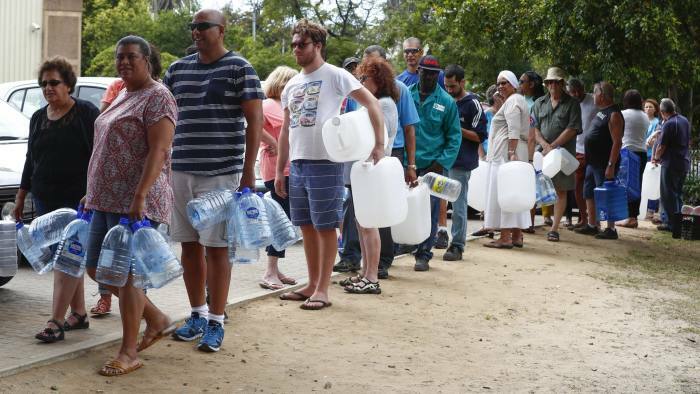 Cape Town is a big tourist city and many tourists do not come from countries where every drop of water counts. There are also always local residents who just don’t care. In addition, South Africa has three capital cities (Cape Town is the legislative capital, Bloemfontein the judicial capital, and Pretoria the administrative capital) so the government basically moves to Cape Town when Parliament is in session. Brisbane water levels reduced to under 20% of capacity, having had no substantial inflow for five years. No washing cars, watering gardens, 4 minute showers and selective flushing of toilets. Then, of course, it ended with a devastating flood in 2011. All these years later, most of the residents still have a water conservation mentality and the urban water system, which was originally built to work with a lot of water going through it, is breaking down because there isn’t enough water being used, and work is being done to redesign some of the systems. Lack of water is going to be a long term issue that we are going to have to learn to live with the reality and be more conscious of this precious resource. Was your little town Grahamstown by any chance? I thought your descriptions were familiar. Were you there for that drought?